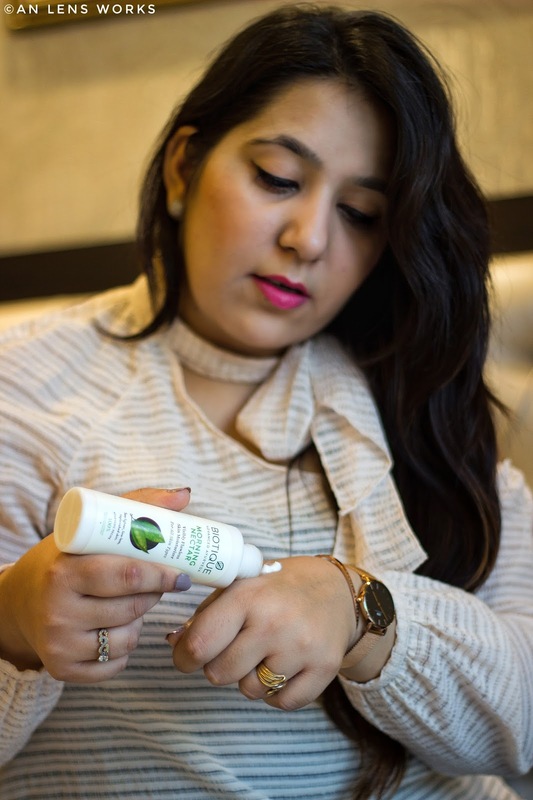 Get the Festive Glow with Biotique | Tips for Glowing Skin with Natural Skincare | The Shopaholic Diaries - Indian Fashion, Shopping and Lifestyle Blog ! The festive season is upon us and while Diwali is a week away, you can still work your way to a glowing skin for the main occasion by following a natural skincare regime. Pollution, work and junk food take toll on our skin, but if a regular skincare routine is followed using natural products - that one can get fresh and bright skin easily. Well, I am talking about the beautiful range of pure Ayurvedic products from Biotique - my favorite brand when it comes to natural skincare. 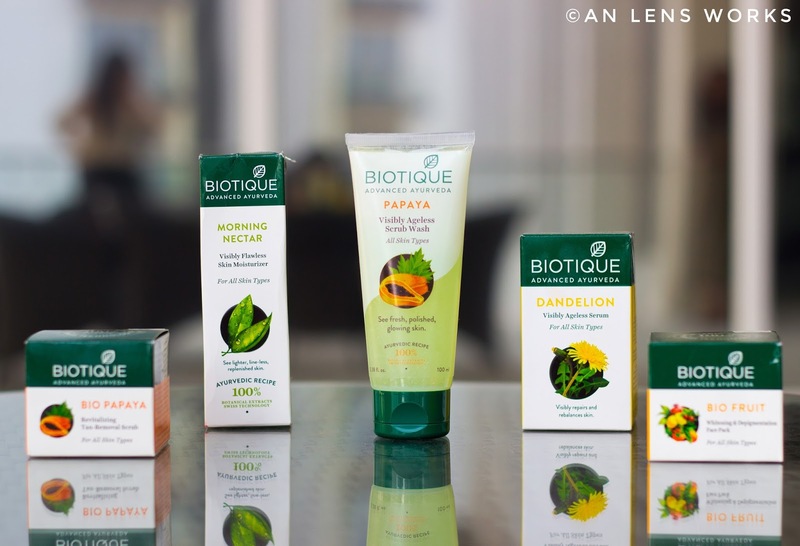 Biotique is one of the foremost brands in the Ayurveda segment which I have trusted since more than a decade. 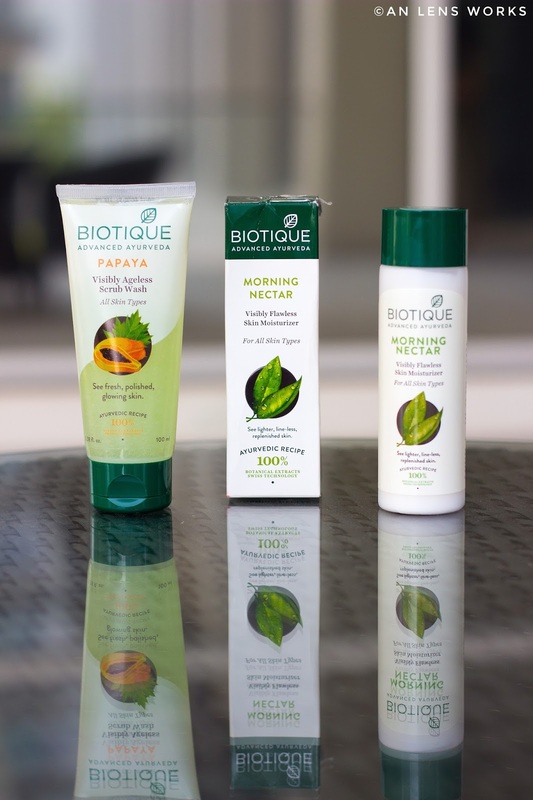 The natural skincare products from Biotique not only add a healthier touch to the skin but also make it brighter and youthful - thanks to their formula which is organically pure and preservative free. As I gear up for the party season, I have been a following a regular skincare regime which not only includes Cleansing and Moisturising but also Scrubbing and Facials every week. No matter how busy you are, cleansing and moisturising your face twice a day is really essential to maintain its health and glow. 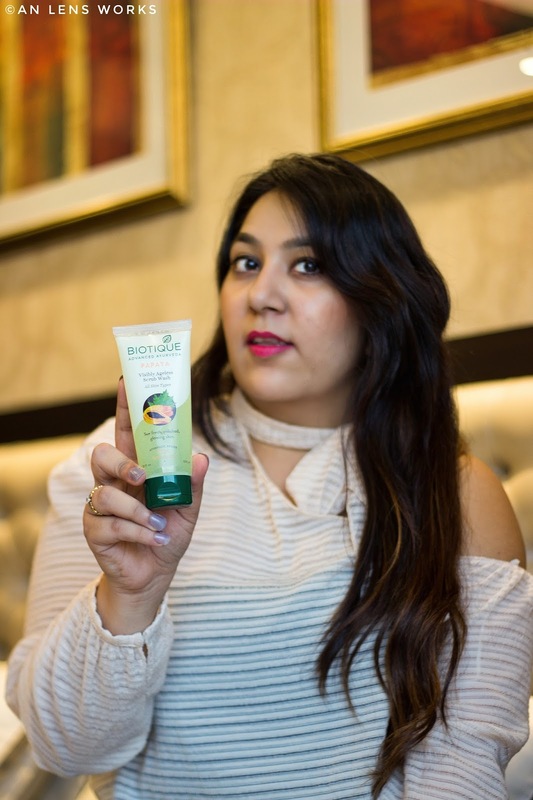 Bio Papaya scrub wash is an amazing product that can be used this season as it helps dissolve makeup and impurities, while softening and brightening the skin. Follow it up with moisturising the skin with Bio Morning Nectar lotion which is a nourishing lotion that is blended with pure honey, wheatgerm and seaweed. The goodness of these essential ingredients makes the skin fresh and replenishes the lost moisture. It has a travel-friendly packaging which I always keep handy in my bag to moisturise my skin multiple times a day. With stressful work and daily life, I feel that just cleansing and moisturising is not enough for our skin. 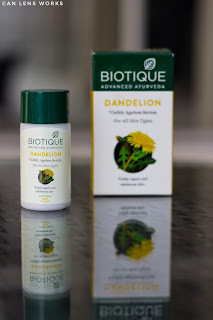 That's why I also use Bio Dandelion serum after moisturising to reduce the signs of ageing. This serum is packed with Vitamin E and minerals that helps ease away wrinkles and reduce dark spots as well. Scrubbing your face atleast twice a week really helps in removing dead skin cells and to unclog pores. Bio Papaya scrub is blended with pure papaya fruit which not only helps remove dead skin cells but also helps remove tan, making way for a naturally bright and younger looking skin. Also, using a face pack atleast once a week can leave the skin clean and glowing. 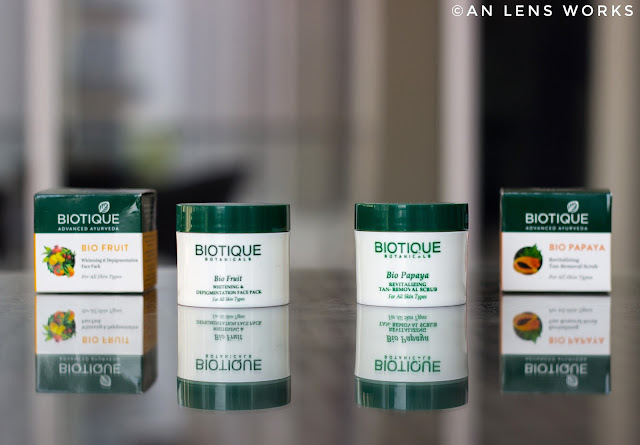 Bio Fruit face pack by Biotique is the perfect pick as it contains the juices of pineapple, tomato, lemon and papaya fruit that add radiance to the skin while removing signs of fatigue, pigmentation and impurities. I also love using Biotique as their products are not tested on animals, are dermatologically tested and are known for therapeutic properties. 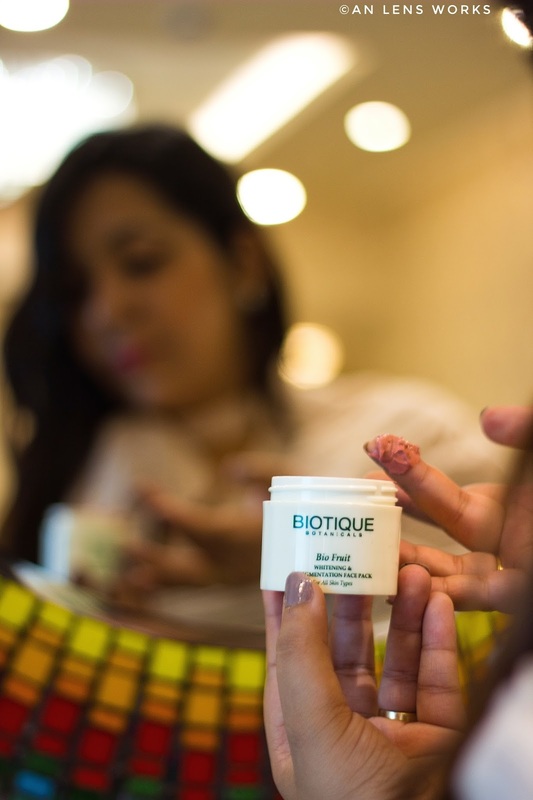 Biotique skincare products are available at various retail outlets and are also available online at - www.biotique.com . Apart from these tips, no matter how busy you are, take out 30 minutes every day to work out in the gym or to go for a walk - as exercise helps increase blood flow and helps getting rid of toxins from the body. Also, make sure you drink atleast 10-12 glasses of water every day and eat a lot of fruits and green vegetables to maintain a beautiful glow on your face. Hope you loved these tips and wishing you all a very Happy Diwali!